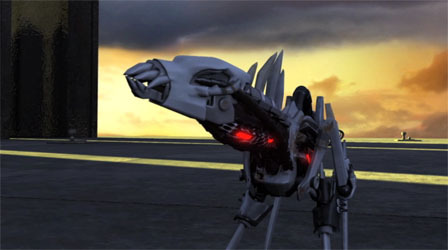 Three flying robots lead a curious robotic canine on an exciting chase through a futuristic, abandoned city. Synopsis: Humanity has abandoned the planet and all that is left are robotic vestiges of the lives which were once played out here. A robot mutt, looking for its next meal of nuts, bolts and general circuitry stumbles across some potential prey and a chase through the derelict city ensues.